A Cake Studio Specializing in High End Cakes and Treats For All Occasions! The Cake Shop, is a Cake Studio that offers Wedding cakes, Custom cakes, and a small variety of bite sized treats. Everything is made from scratch in house and with localey sourced ingredients when possible. The Cake Shop is not a retail bakery. We are by appointment only. This way we can give each client and order the care and attention they deserve. We love working with our clients to make their dessert dreams come true! Hi! My name is Stacey Lorraine. I am the owner, cake artist, office manger and dishwasher (Yup I do it all!) of the The Cake Shop! Born and raised near Washington DC, I got my start working at a bakery when I was 16. I immediately fell in love with everything baking. I applied, and got accepted to The Culinary Institute of America were I received my AOS and BPS in baking and pastry. After Graduating I spent a short stint in restaurants before finding my true passion, custom cakes. Since then I’ve had the honor to work at, and learn from, some of the best cake shops in the country. 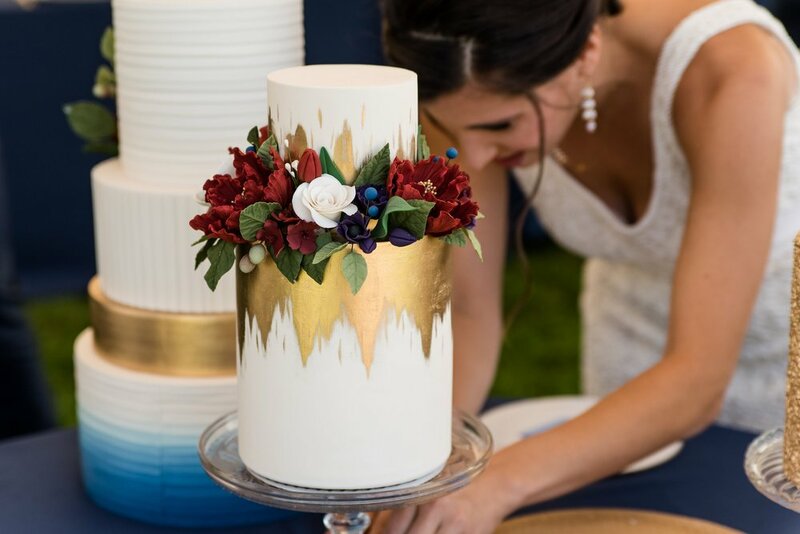 Following an internship at Mark Joseph Cakes in NYC, I spent 4 years decorating cakes at Betty bakery and Cheryl Kleinman cakes in Brooklyn, New York. I then spent 3 years at BAKED custom cakes in Seattle. I've worked and collaborated on several cakes that have been featured in different wedding magazines. I also have competed on several Food Network shows! In 2017 I got Married and moved back to the east coast to settle down in beautiful Central New York. In my Spare time I love hanging out with my husband and our cat, crafting, and enjoying good food and wine!